It’s Tax day, so what better time to discuss the origin of the U.S. Dolllar. The word dollar comes from Joachimstaler – the name of a coin minted in Bohemia (now the Czech Republic), which was commonly shortened to taler. Beacause of the weight and size of the taler, it was a popular coin, and eventually influenced other nation-states at the time to mimic the weight and look of the coin for their own currencies. Thus, any coin that bore even a slight resemblance was called taler. Eventually, as the term spread through Europe, taler became dollar. The term dollar became so common that it shows up in two of Shakespeare’s plays—the Tempest & Macbeth— even though the British Pound had long been established. The dollar came to reference US Currency in a few ways. 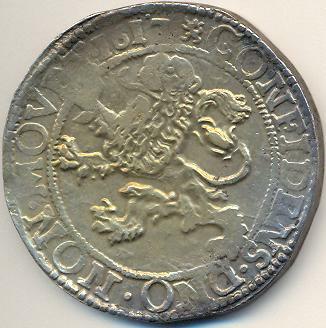 Prior to the establishment of a national currency in 1792, different currencies were accepted throughout the colonies: the Dutch “Lion Dollar” was popular in New Amsterdam; the Spanish Dollar (or Peso) was popular throughout the remaining British Colonies. Thus, when it came time for the young government to name their money, dollar was an easy choice, given that word was already in common use. The origin of the dollar sign is murkier. No one can say for sure who designed it (or why) and many theories abound. The most popular (amongst scholars) is that the dollar sign is a modification on the symbol representing the Spanish Peso, once a commonly traded currency in the colonies. Today the term dollar represents the currencies of over 30 countries or territories, including Canada, Australia & Hong Kong.